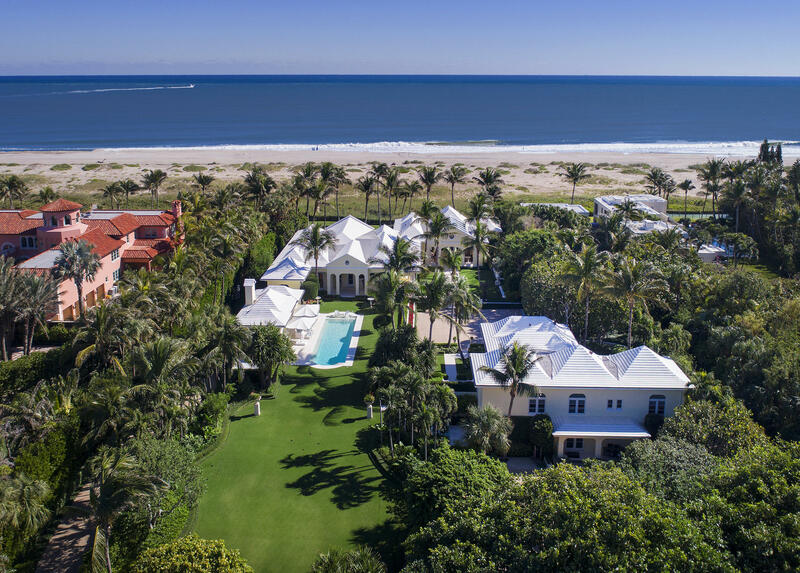 Along perhaps the most beautiful stretch of shoreline in Palm Beach, this serene and secluded compound enjoys 2.04 gated acres with 156’ of frontage on the Atlantic Ocean. 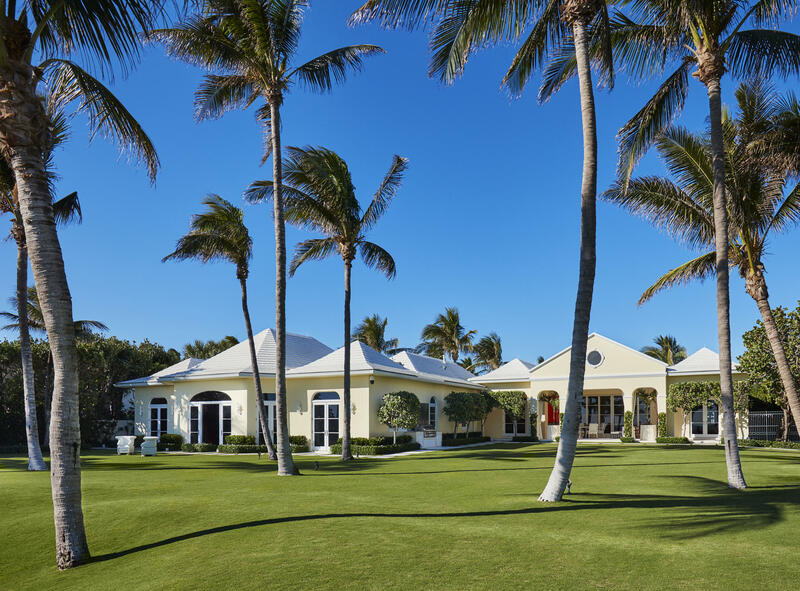 The estate includes an impressive main residence, a private four-bedroom guesthouse and an inviting swimming pool with a delightful cabana. Outside, native flora gives way to manicured gardens and an expanse of lush oceanfront lawn. 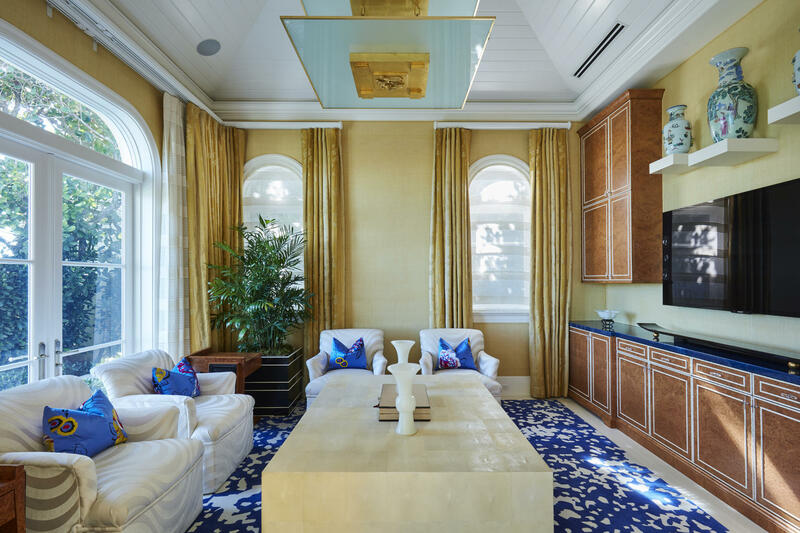 Throughout the public spaces of the main residence—which include a living room, a formal dining room, a media room and a chef’s kitchen—ceilings are voluminous, light is plentiful, and views of the ocean are direct and alluring. 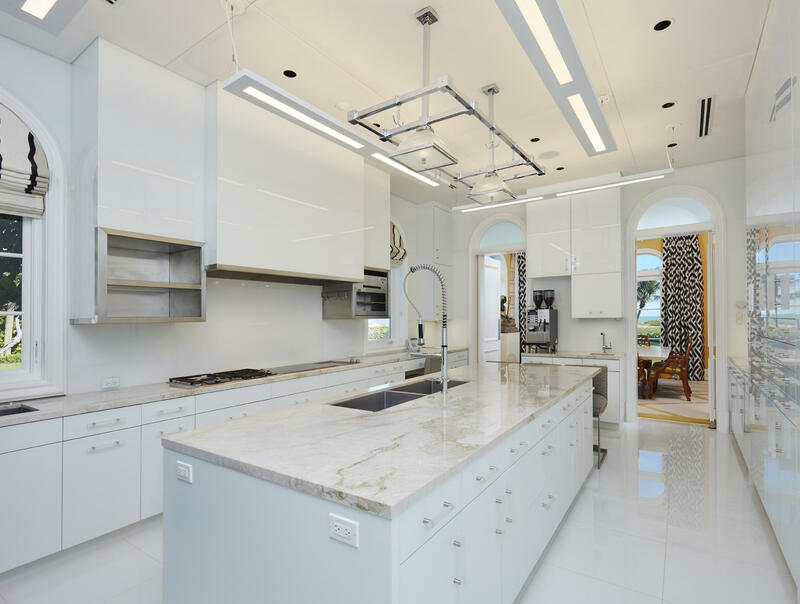 The kitchen is impeccably outfitted with white lacquer cabinetry, an island, two Wolf ovens, two cooktops, and a Sub-Zero refrigerator-freezer. A relaxing loggia with a fireplace faces west. 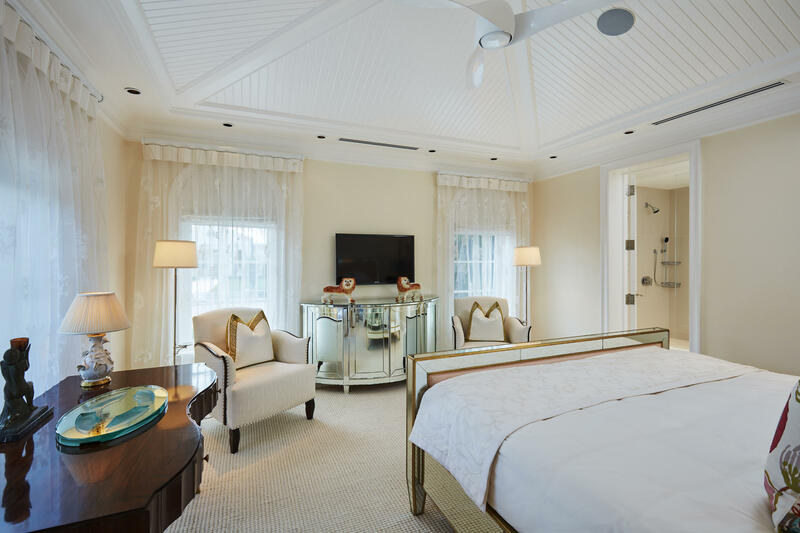 A second loggia leads to the master suite, secluded beneath a roof of its own. 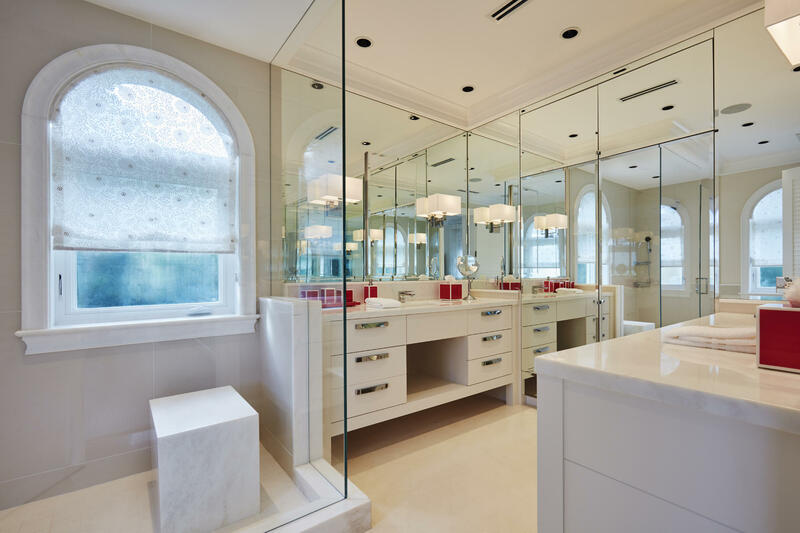 A true oasis, it boasts his and her offices, baths, and walk-in closets; a gym with a wet bar; and a kitchenette. 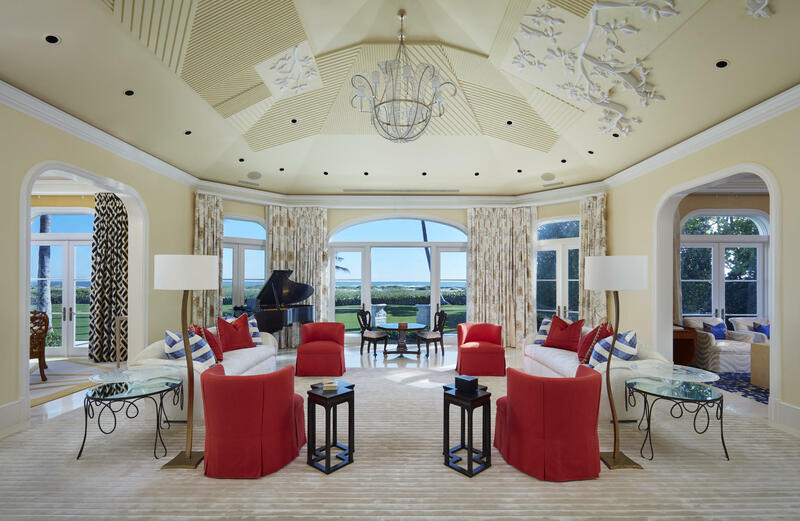 The master suite's private loggia looks out toward the ocean. 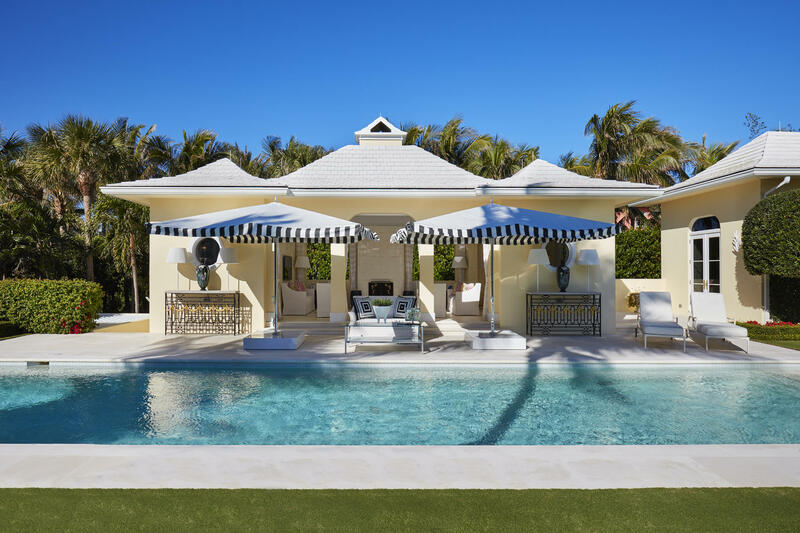 The poolside cabana offers a living and dining area with a fireplace and a convenient half bath. 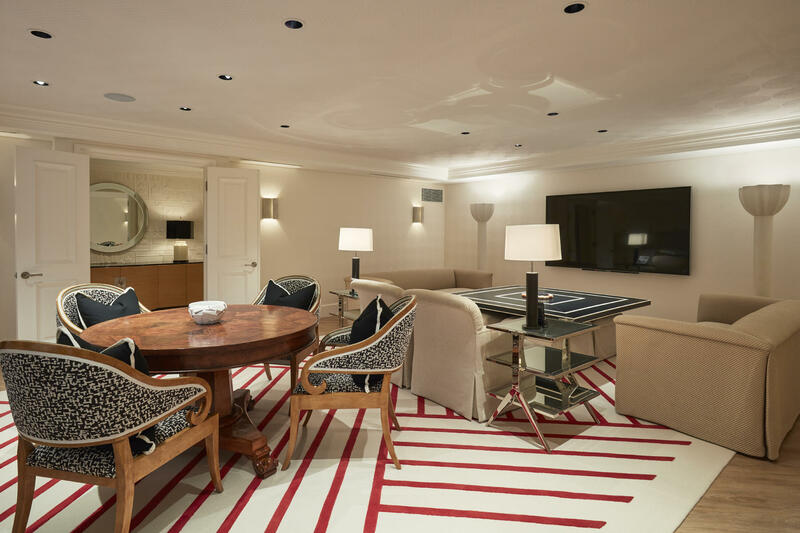 An additional guest suite with private access and a full bathroom is nearby. 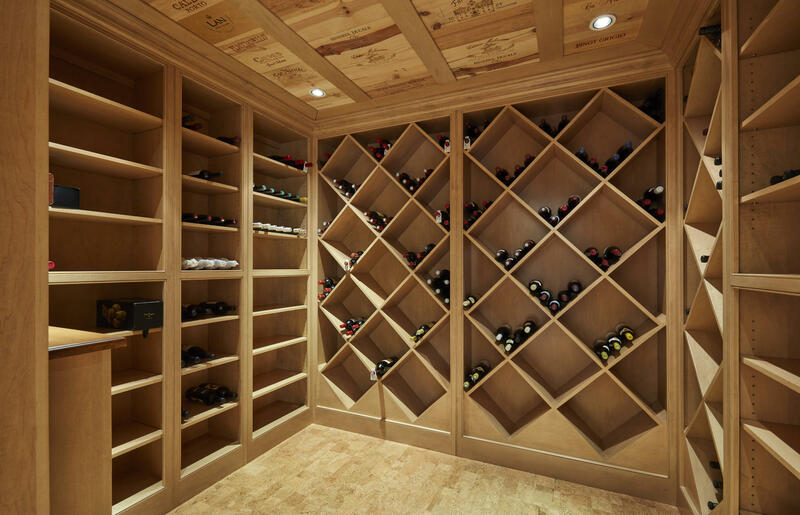 On the secluded lower level are a media room, wine cellar, storage and office space, a laundry room and a garage. 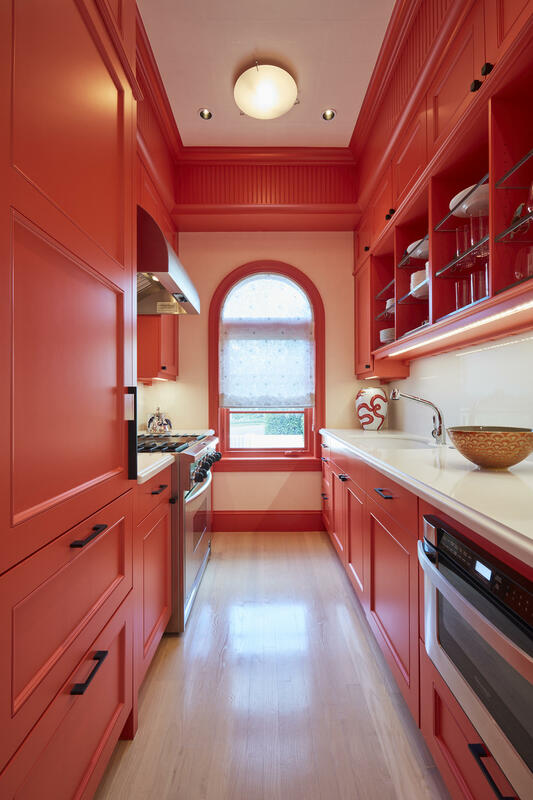 Nearby, the private guesthouse offers a living and dining area on the first level, and on the second, four bedrooms with en suite baths, a living room, and a kitchen with a calming coral palette. 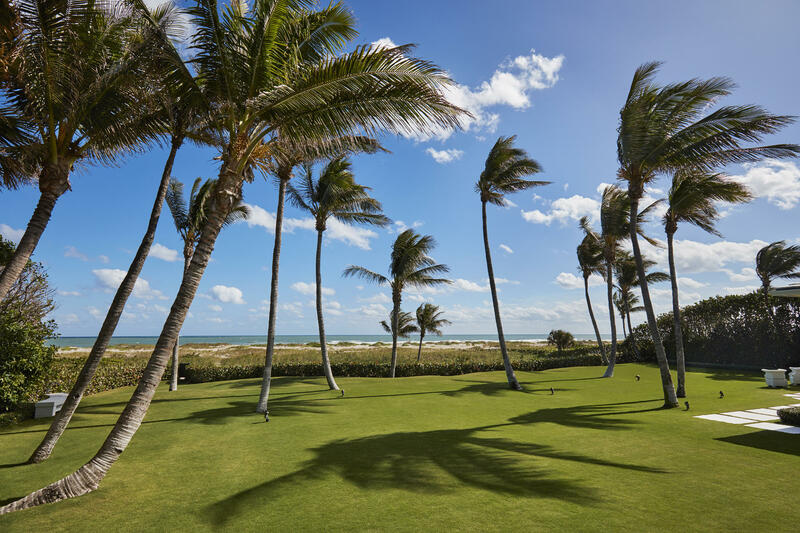 Beyond the estate's lawn and a boundary of mature palms, paths wind through beautiful expanses of sand dunes toward the beach and the majestic ocean beyond.